 Woodlands West Apartment Homes offers 2 & 3 bedroom townhomes. Please select a unit that you like, fill out your name, number, and email, and you will be redirected to our quick and convenient online application. Not seeing what you're looking for? Availability changes every day, if you tell us what your needs are we’ll call you when availability changes. All room dimensions are approximate and may vary by apartment. 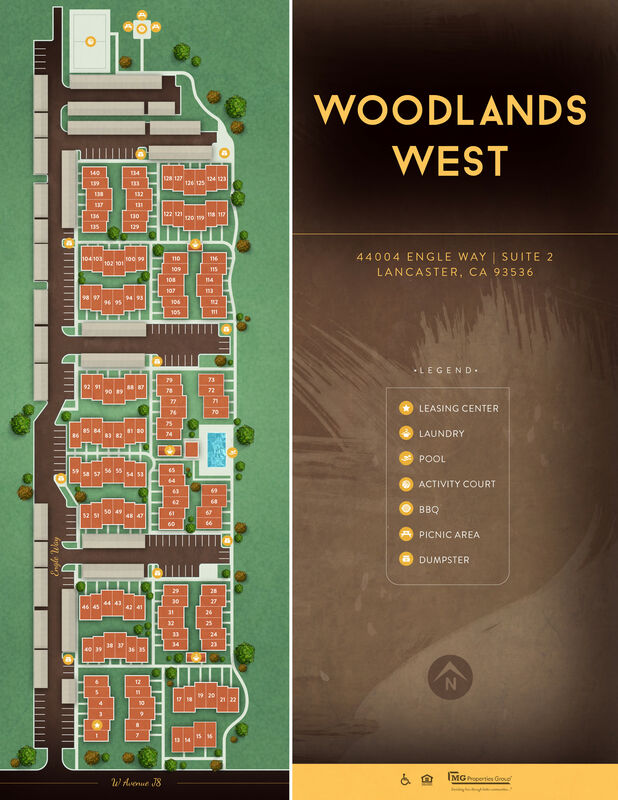 For a better way of life, upgrade to modern and comfortable living at Woodlands West Apartment Homes. 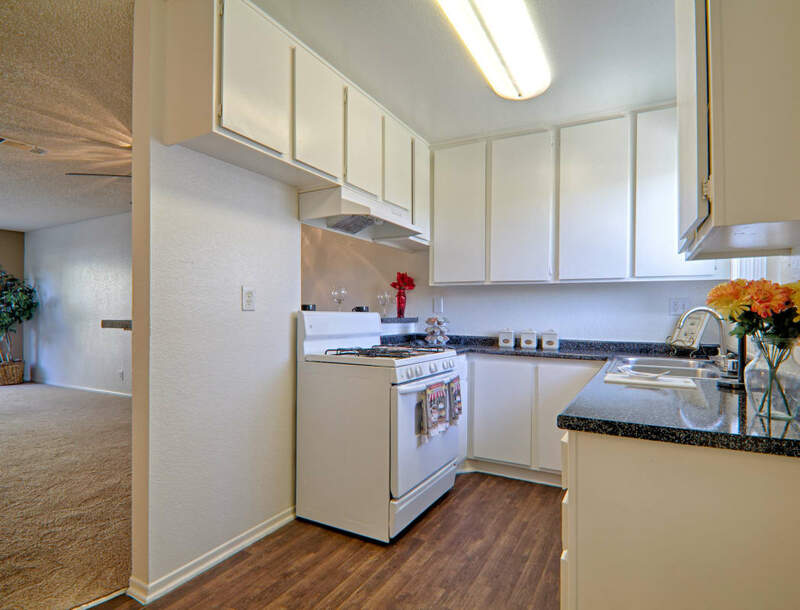 We offer Woodlands West Apartment Homes bedroom townhomes for rent in West Lancaster, CA. Housed in beautiful stone buildings in warm earth tones, your new home offers beautiful wood-style flooring, clean design lines, outstanding amenities, and thoughtfully finished touches. To ensure your home is comfortable throughout the year, each home is furnished with refreshing air conditioning as well as ceiling fans. From a kitchen fully equipped for home chefs to a large private balcony or patio, Woodlands West Apartment Homes offers an outstanding array of in-home amenities. Prepare restaurant-quality meals in your charming kitchen, complete with a timesaving dishwasher and energy-efficient appliances. Thanks to the oversized closets, you can easily keep your home and wardrobe organized. In the evenings, soak up the last moments of the setting sun from your quiet and private balcony or patio. Discover your new home at Woodlands West Apartment Homes in Lancaster, CA. Call our leasing professionals today to schedule your tour.